This reading took place at the Pima Auditorium, Memroial Union, ASU Tempe Campus. Carol Ann Bassett is the author of three works of literary nonfiction: Galápagos at the Crossroads: Pirates, Biologists, Tourists, and Creationists Battle for Darwin's Cradle of Evolution; A Gathering of Stones: Journeys to the Edges of a Changing World, and Organ Pipe: Life on the Edge. Her essays have been published in the American Nature Writing series and other nature anthologies. Bassett was a regular contributor to The New York Times and Time-Life, and was an independent producer for National Public Radio. Her work has appeared in The Nation, The Los Angeles Times, Mother Jones, Condé Nast Traveler and numerous other national publications. She teaches sat the University of Oregon. This reading took place at the Black Box Theater, ASU Polytechnic Campus. Laura Tohe is Diné and was raised by her family and relatives on the Navajo reservation. She has written and co-authored four books. 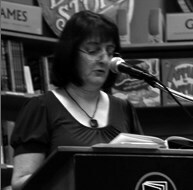 Her most recent book, Tseyi, Deep in the Rock won the 2007 Glyph award for Best Poetry and Best Book by Arizona Book Association and is listed as a Southwest Book of the Year 2005 by Tucson Pima Library. She is currently working on a book of oral history on the Navajo Code Talkers. She is the 2006 Dan Schilling Public Scholar for the Arizona Humanities Council. 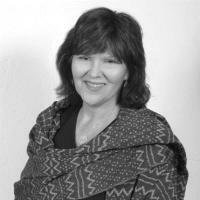 She wrote a commissioned libretto, Enemy Slayer, A Navajo Oratorio, for the Phoenix Symphony Orchestra that made its world premiere in February 2008. 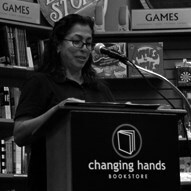 First Reading at Changing Hands in Tempe Arizona September 21, 2009 at 7 p.m.
Rita Ackerman was born near Dodge City, Kansas. She has always been fascinated with the Old West. Wanting to know about her father's family she began doing research on her family history and became a professional genealogist in 1990. This lead to more and more research in Arizona history and her book O.K. Corral Postscript: The Death of Ike Clanton. Rita has also been published in Wild West Magazine, The Journal of the National Outlaw-Lawmen Association, and is a regular contributer to the Tombstone Times Historical Journal. She is newsletter editor of the Phoenix Writers Club and a co-leader of the Writers Inspiration Group. 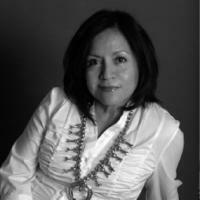 Since 1982, Annie Lopez has exhibited her artwork at galleries and museums throughout the United States, including the Smithsonian Institution; The Los Angeles Center for Photographic Studies; Tucson Museum of Art; Mesa Contemporary Arts and the Tempe Center for the Arts. Her work is currently on exhibit at the Phoenix Art Museum and the Silver Eye Center for Photography in Pittsburgh, Pennsylvania. Text has appeared in her photographic prints for over twenty years. For the past ten years, Lopez has presented her stories as performance art at venues throughout Arizona, and has only recently let them stand on their own. 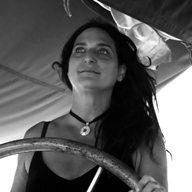 Critics have described Stella Pope Duarte as one of the writers who will enlarge humanity. Born and raised in the Sonorita Barrio in South Phoenix, she is second to the last in a family of eight children. Her books include: Fragile Night, Let Their Spirits Dance, and, If I Die in Juárez, which won two Gold Medals in 2009 in the category of Multicultural Fiction, and an Honorable Mention in the International Latino Book Awards. If I Die in Juárez was also named a Top Pick in the 2008 Southwest Books of the Year Award, and was the winner of the 2008 Arizona Book of the Year Award for Best in Popular Fiction. In 2008, she received the 34th Annual Chicano/Latino Literary Prize from the University of California at Irvine.